So today is the 10th anniversary that I'm a official anime artist. 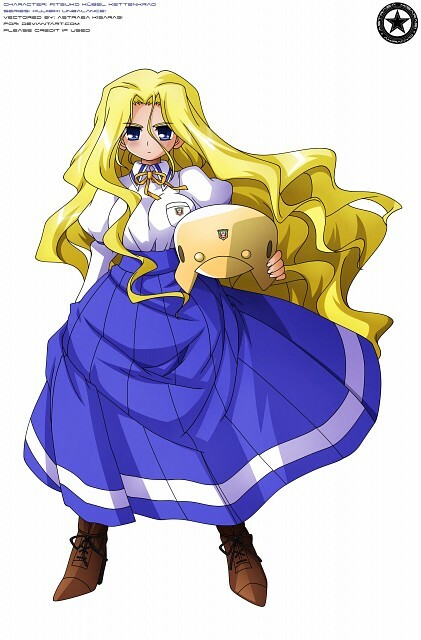 Kujibiki Unbalance was a important factor when I started my anime artist career, especially Ritsuko herself. I already submitted the completly overhauled version of All the best wallpaper from Di Gi Charat, so now comes a standalone vector from Kujibiki Unbalance. I always loved her unique school uniform with the superlong skirt. Compared the source DVD cover scan she is now extended, slightly redesigned (especially her boots) and the school crest was built up as a separate PSD file. Browse Kujibiki Unbalance Gallery: Recent | Popular.